As a symbol of strength and majesty the Great Britain Royal Arms is an awe-inspiring design. 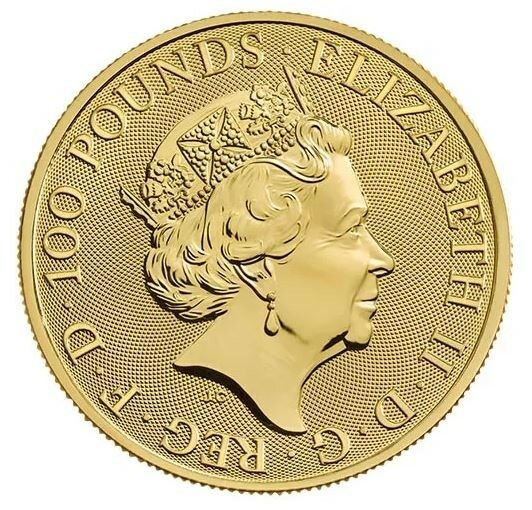 This Gold bullion coin contains 1 oz of .9999 fine Gold and is the latest by the Royal Mint. Individual coins come in protective plastic flips. Multiples of 10 come in mint sealed tubes. Obverse: QE2 Bust, along with face valuse of 100 pounds. 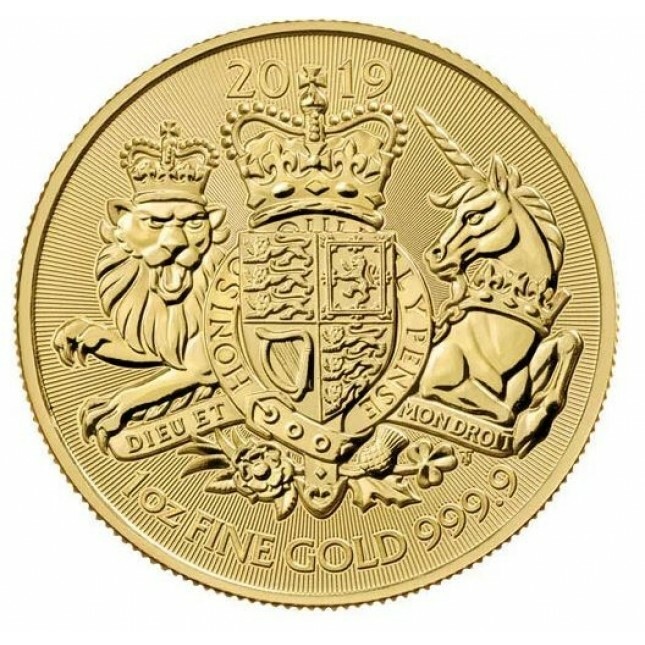 Reverse: Displays the up to date version of the Royal Arms, featuring a quarted shield, each representing nations under the United Kingdom. On either side of the shield are the queen's beasts lion and unicorn. Below the shield is the weight and purity, above the crown is the date. 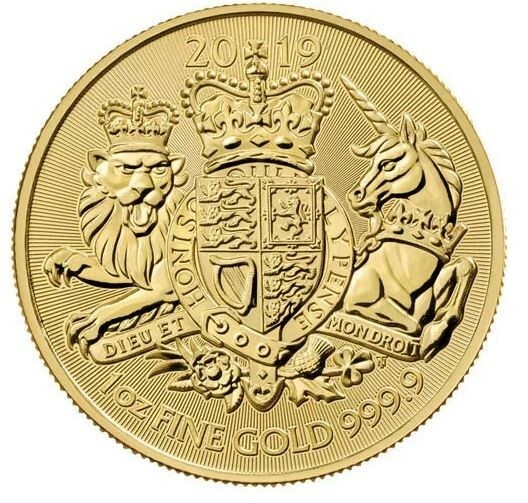 Best Prices on Gold Great Britain Royal Arms!